Pictured here a sewage backup in a business. Make sure you call SERVPRO of Grosse Pointe for any residential or commercial sewage backup you may have. Most articles will throw out a warning saying “if you’re not sure whether you can do it, or don’t have the proper equipment, it is best to call a professional”. That’s where you would call SERVPRO of Grosse Pointe. #1 – It can be hidden. – Any SERVPRO of Grosse Pointe crew member can tell you stories about customers that decided to clean-up their own feces only to call in weeks or months later complaining about smells and disfigured walls, cabinets, and floors. Sewage will find its way into any and all porous surfaces. Even things like drywall and cabinetry aren’t safe. And it’s not as simple as just spotting the sewage with your eyes. It requires state of the art equipment, which SERVPRO of Grosse Pointe has, to identify areas that have been damaged by sewage. So unless you have an infrared detection system handy and know how to use it, call SERVPRO of Grosse Pointe. #2 – It can be costly. – Times are difficult for everyone and money is tight. It’s easy to justify doing it yourself instead of paying to have SERVPRO of Grosse Pointe clean and disinfect for you. But today’s shortcut is tomorrow’s nightmare! Again, you’re dealing with a toxic situation that if not handled properly can create very real health dangers for you and your family. Not only that, if not properly mitigated, you could be looking at a serious mold issue in the not so distant future on top of all of the other issues described above. And if you think sewage cleanup is costly, wait until you’re stuck with a bill for mold remediation services! At least your sewage clean-up is covered by insurance…that’s not typically the case if you’ve got mold and it’s the result of you not taking appropriate measures when dealing with the sewage issue that created the mold! So, if you’ve stumbled upon this article due to a sewage back-up that’s spilled into your home or office, do yourself a favor and call us, SERVPRO of Grosse Pointe. Our technicians are certified to perform raw sewage cleanup and can provide you with peace of mind knowing the area affected is professionally cleaned. As a locally owned and operated business, SERVPRO of Grosse Pointe is strategically located to respond quickly to your water damage emergency and your mold cleanup. When there is mold in a home or business in Grosse Pointe, Grosse Pointe Shores, Grosse Pointe Park, Grosse Pointe Farms, Grosse Pointe Woods, Harper Woods, Hazel Park, Warren, or Madison Heights, we have the resources and personnel to help get your home or business back together. Call us today, (313) 882-5499! SERVPRO of Grosse Pointe is certified to remove and cleanup any biohazard situation. 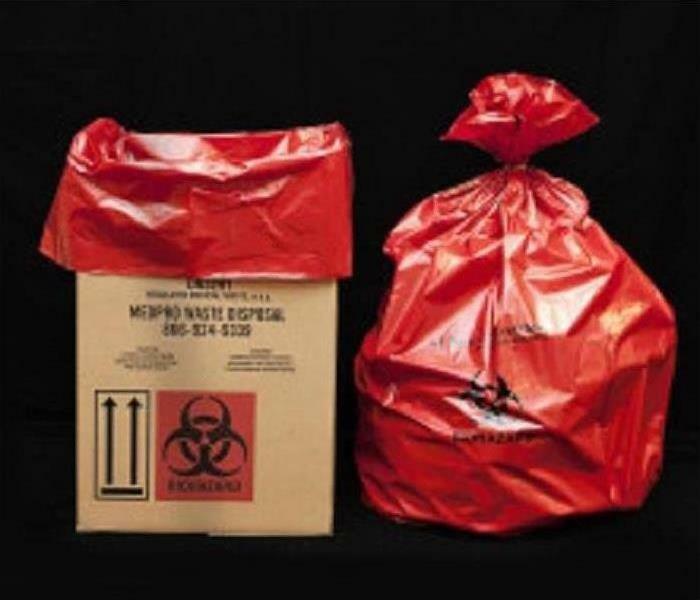 When compared to a fire or water loss, property damage resulting from a suicide, murder or unattended death poses greater risk and complexity for the adjuster, the biohazard cleanup company, and of course, the policyholder. Many cleaning and restoration companies will offer bioremediation services, but only those that specialize in this area, like SERVPRO of Grosse Pointe, truly understand the science and intricacies of the bioremediation and decontamination process. In order to minimize risk for the insurance carrier and ensure the safety of the policy holder, it’s important to realize the inherent challenges of bioremediation and the processes and standards that every biohazard cleanup professional must adhere to. Sensitivity Training – Dealing with a flood or fire can be extremely traumatic, but it does not compare to the loss of loved one. During these traumatic situations, the family members often stay at home so it is imperative that the workers in their home are compassionate and considerate. The biohazard cleanup specialists at SERVPRO of Grosse Pointe understand the need for the family to deal with only one point person in order to avoid confusion or conflicting updates. They have been trained to eliminate alarming language from their vocabulary and speak empathetically with the policyholder. 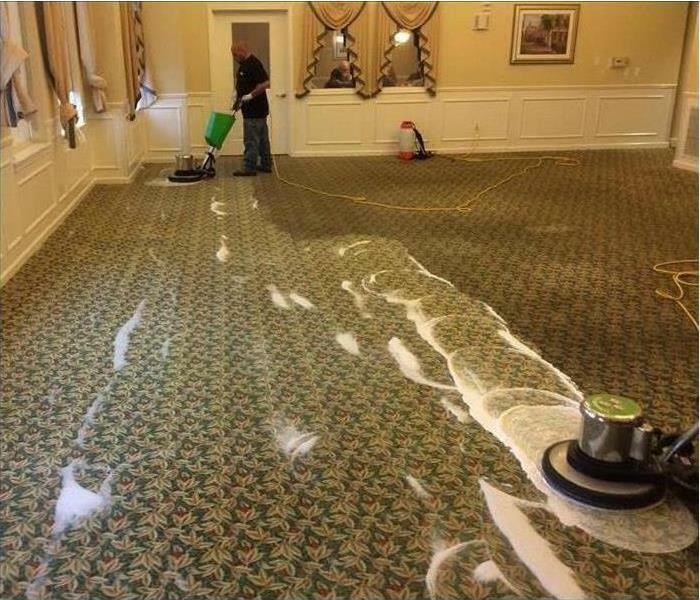 Pictured is our SERVPRO of Grosse Pointe crew doing a carpet cleaning job at a Walton Wood Senior Living Center. Burst Pipe in Cobo Hall, Detroit, MI. 2. Caulk around pipes where they enter the house. 4. Drain in-ground sprinkler systems. 1. Let a stream of water run if the temperature dips below freezing. 2. Open cupboard doors in the kitchen and bathrooms. 3. Shut off and drain your water system if you are leaving home for several days. Another common cause of water damage is a burst pipe. When pipes deteriorate or freeze, they are susceptible to bursting. For this reason, it's important to have your pipes regularly inspected. Also, be sure that you check the areas that could start corroding. One of the factors that contribute to bursting pipes is high pressure. To reduce pressure, have a valve installed or simply replace the plumbing. Although recognizing common causes of water damage can help prevent it from transpiring on your property, there's still a chance that it could occur. If it does, you can trust the water damage remediation experts of SERVPRO to fix the problem quickly and correctly. Our IICRC-certified technicians use contemporary methodologies and cutting edge equipment to expedite each component of the remediation process. Moreover, we offer the personalized care that will keep you calm and comfortable throughout the restoration process. 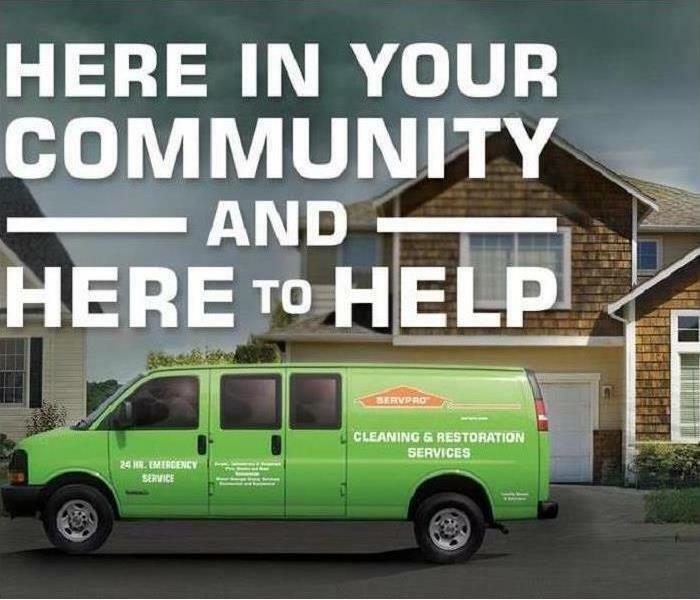 As a locally owned and operated business, SERVPRO of Grosse Pointe is strategically located to respond quickly to your flood and water emergency. Call us today! (313) 882-5499. SERVPRO of Grosse Pointe is a 24/7 Emergency Response Company. We are here to help, whenever you need us! Whenever dealing with an unfamiliar topic, you are sure to come across some terminology that is new as well. We’ve created this “restoration dictionary” to help guide you through articles on our website and educate yourself as much as possible. Agent: The person at an insurance company that interprets a policy and works with contractors involved in restoration is known as? Anti-Microbial Solutions: Cleaning products used to remove microorganisms from materials and prevent them from returning. Bacteria: A very large group of microorganisms comprising one of the three domains of living organisms. Blood borne Pathogens: Harmful microorganisms present in blood or other potentially infectious materials, that could cause disease or death in humans. Claim: What you file when looking to collect money to make repairs from your insurance company. Containment Area: Temporary plastic barriers that are used during mold removal projects to contain mold spores and work to a smaller area. Dehumidifier: Used to pull water vapor out of the air and bring moisture levels back to normal/acceptable conditions. Demolition: Point of work prior to drying where all saturated drywall, carpet, insulation are removed and discarded. Drying Time: Period of time where dehumidifiers and air movers are placed within the property, typically 48-72 hours to remove all remaining moisture from the air and structural materials. Extraction: The initial step of a water damage restoration where excess water is removed from a property via pumping equipment. Hepatotoxic: A poison that damages parenchymal cells of the liver. Humidity: Measurement of the amount of water vapor in the air. Inspector: Designated party to interpret the severity of situation and offer recommendations on what does and does not need to be done; preferably a separate entity from those fixing the issues. Malaise: Malaise is a generalized feeling of discomfort, illness, or lack of well-being. Moisture Meter: Tool used to detect amount of moisture within walls or materials and help locate sources of water intrusion. Mold Testing: Air and surface samples taken to identify the species and quantity of mold present within a property. Hygroscopic: Any material that absorbs and retains moisture retains moisture or water vapor from air is known to be. Mycotoxin: Is a toxic secondary metabolite produced by organisms of the fungi kingdom, commonly known as molds. Psychrometry: The measurement of the humidity content of the air by use of a psychrometric. Thermal Imaging Camera: Tool used to detect temperature change and locate points of water intrusion. It is important to understand how to safely and properly heat your homes during the winter. Be careful not to cause a fire or smoke damage. The winter season is in full swing- the days are shorter and the temperature is lower. No matter where you live, winter brings a change in weather. 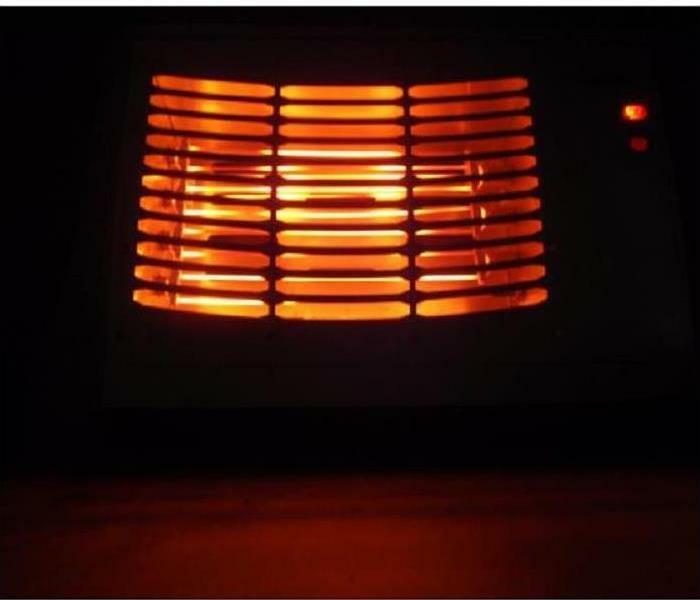 In an effort to keep our homes and workplaces cozy, many people use alternative heat sources like fireplaces, portable space heaters and wood burning stoves. Heating is the second leading cause of home fire deaths, making it important to review ways to help reduce the risk of a heating related fire. All heaters need space. Keep flammable objects at least three feet away from the heating equipment. Plug space heaters directly into outlets, never into an extension cord or power strip. Install and maintain carbon monoxide and smoke alarms inside your home and business. Test alarms monthly. Don't let unwanted water close your business. Call SERVPRO of Grosse Pointe when you have a water loss! The longer excess water remains on your commercial property in Detroit, the more likely you are to suffer from costly water damage repairs to structural properties like ceiling tiles, insulation, drywall, and flooring. Then there is the concern of water damage to your capital investments: inventory, furniture, carpeting, electronic equipment and paper documents. 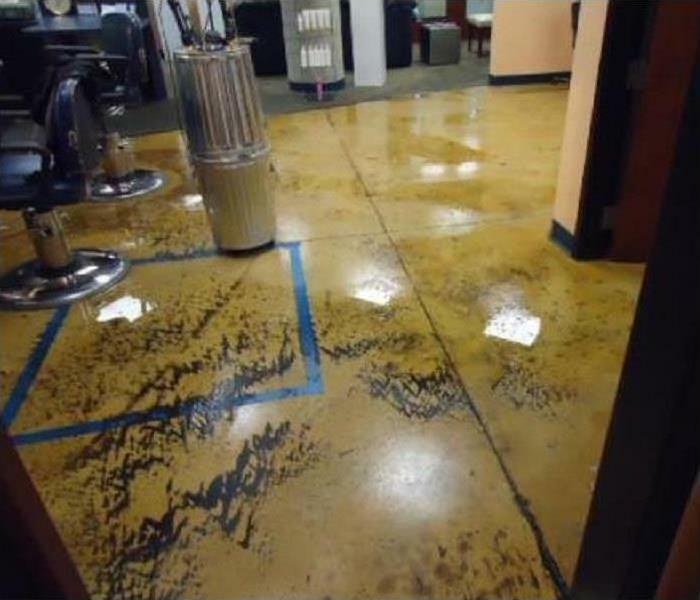 Having a team of skilled water damage restoration experts like SERVPRO to begin immediately removing standing water can prevent you from spending unnecessary money on repairs. A broken pipe and the water damage clean up that it causes is the nightmare of every homeowner. After the panic has subsided and before you start your water damage cleanup, you want to assess the level of damage to your home. If you have a limited amount of apparent water damage, there are many things that you can do yourself. But if carpeting, rugs, tile, drywall and the ceiling below have been saturated call a professional water restoration company, like SERVPRO of Grosse Pointe, immediately. You need to be in damage control mode and understand you are racing against the clock. It is important to understand that you have a lot of work ahead of you to fix your water damage problem. Calling the professional water restoration experts at SERVPRO of Grosse Pointe can save you headaches and help you settle with your insurance company. 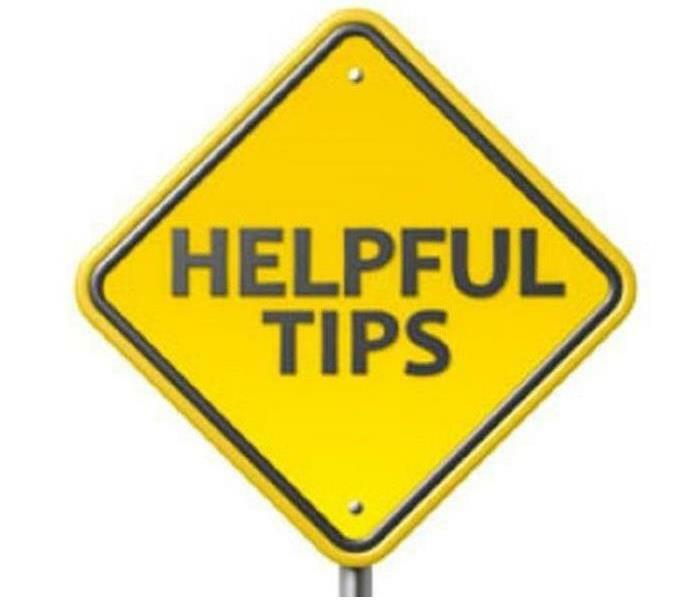 Next, start a dehumidifier running as quickly as possible to take moisture out of the air. Along with the fans, this will help accelerate your water damage clean-up efforts by removing the water quickly. Be sure to check the reservoir tank often and empty it regularly. It is a necessary to run your dehumidifier until things are completely dry to avoid the conditions where mold and mildew can grow. The next step is very important and will save hassles later. Take some photos of the damaged areas as evidence for your insurance claim. Like any accident, documentation is critical and gives you proof that will put you in the best position possible when settling your claim. Following these three important steps, go through your belongings that were affected by the water. Sort through any papers, books, photos and keepsakes and inspect for damage. If they are not valuable and ruined, throw them away. You can make photocopies of most paperwork and then throw it away. If valuables have been damaged, you can place them in a freezer food bag and freeze them until you can consult with a member of our team to see if they can be saved. It is important to note that wood surfaces that have been affected by the water are more urgent than carpeted areas. Wood is porous and can soak up the water, causing warping and delaminating. It is a good idea to remove the water as quickly as possible and then use fans and a dehumidifier on around these areas first. Most broken pipe situations and the water damage clean up it requires affect the drywall board in walls and ceilings. If you have drywall damage as a result of the water, you are going to have to inspect and repair it quickly. As a general rule, it will be enough to dry it with a fan as long as it hasn't swelled and the seams are still intact. If there is swelling or the drywall seams have separated, you will need to replace the damaged area. The chalky material and the paper facing of drywall often act like a sponge and moisture transfers quickly over a broad area. It is best to replace the damaged drywall to ensure that mold doesn’t grow behind the painted surface. If the water damage was the result of a broken pipe or other mechanical failure, repair it quickly and correctly so that you don't aren't cleaning water damage again in a few months. 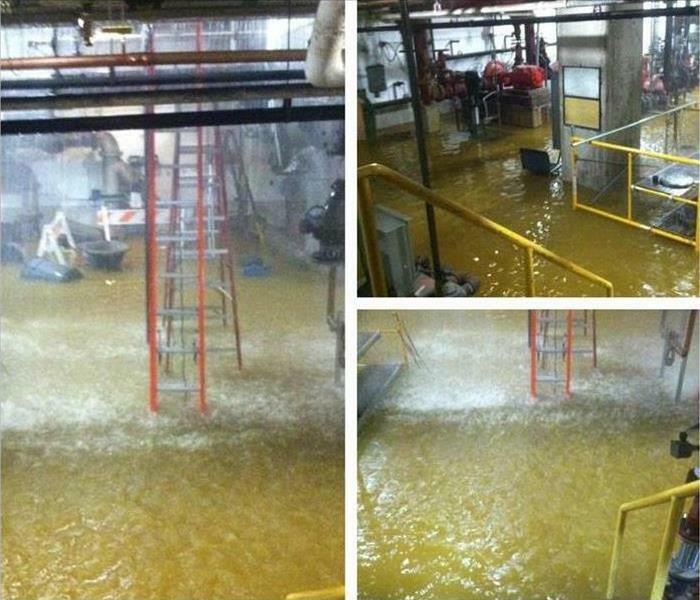 Someone from SERVPRO of Grosse Pointe and a qualified plumber can help you navigate through this maze of water damage clean up. 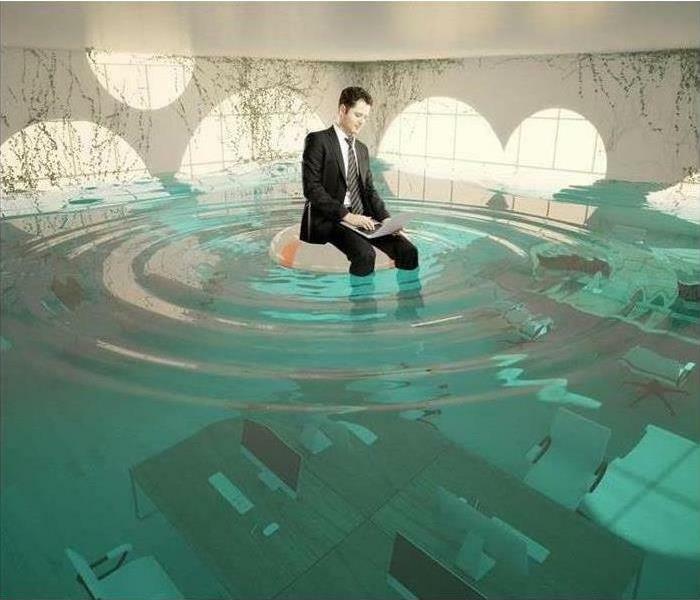 Finally, call your insurance company and determine if the water damage is covered under your homeowner’s policy. The experienced pros at SERVPRO of Grosse Pointe can help you with this and all the other steps of water damage clean up when your next catastrophe happens. Fall is finally here! The leaves are changing, there’s a crisp coolness in the air, and our favorite pumpkin spiced-flavored treats line store shelves once more. We all look forward to fall’s festivities, and now that Halloween is over the winter Holidays are approaching fast. You have just a few weeks left to prepare your home for winter. Preparing can help ensure you’re cozying up by the fireside worry-free once cold weather rolls around. Decorating and meal-prepping might be the first things on your mind when it comes to preparing your home for the colder months Here are important fall maintenance tips that can make all the difference once winter’s first freeze hits. All those colorful leaves falling from the trees sure are pretty — but they also pile up pretty quickly in your home’s gutters. 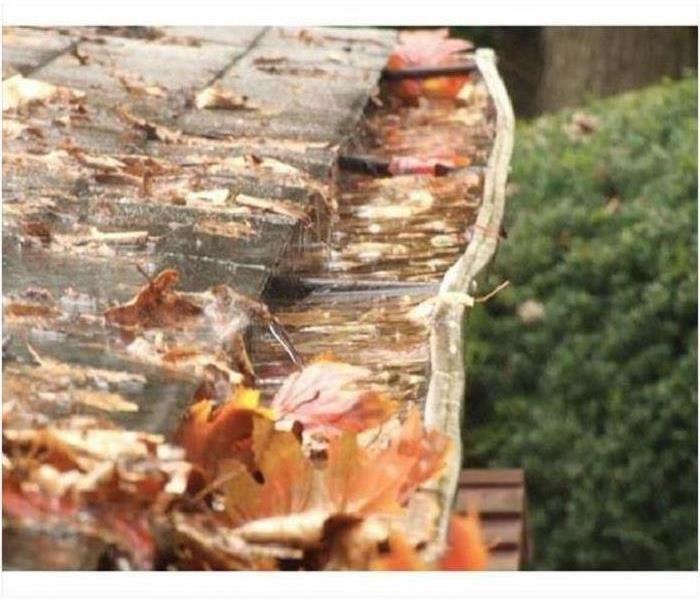 Even if you have gutter guard silt or excess debris can lead to clogs (or ice dams in wintery conditions), which can prevent gutters from draining properly. In turn, there’s a chance water could seep into your home since it has nowhere else to escape to, causing a multitude of issues like damage to your valuables, mold growth, and even structural rot. Before winter hits, clear your house’s gutters of leaves and any other debris that might’ve accumulated during the summer months. It also helps to run water through the gutters afterward to check for any leaks or misalignments that could damage your home. Don’t forget to check the down spouts. Things like damaged weather stripping and small cracks in your home’s structure allow warm air to escape, causing your heater to go into overdrive to keep your place warm. The solution to your chilly house and high utility bills is pretty simple: before it gets wintery outside, inspect your home’s windows, doorways, and any other places where air might be able to enter or exit. You can use caulking to stop leaks in the stationary components of your home (like a crack in your doorframe) and weather stripping to insulate the moving components (like windows and doors). Home just doesn’t feel like home if a malfunctioning heater is leaving you with the chills. And in parts of the country with freezing temps, it can be a much more serious situation. That’s why it’s wise to have a licensed contractor come out to inspect your heater at least once a year, especially before the weather outside becomes frightful. Ask about the condensate drain line. “Is it clear?” “Is there an operating float switch?” Consider a moister detector that will alarm if water gets more than a 16th of an inch deep. This will let you know you have a potential problem. Get to know where the pipelines in your house are located and make sure to inspect them every autumn (at least). 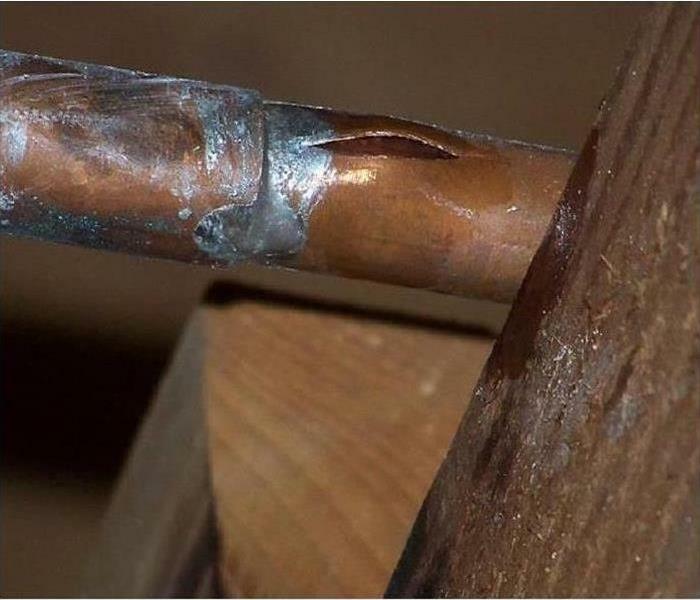 Simply patch any small leaks with heat tape to help reduce weaknesses that might cause the pipe to burst in freezing weather. And you can further protect any exposed outdoor pipes by insulating them with foam or rubber pipe wraps, which can be found at your local hardware store. For larger leaks or pipeline problems, it’s always a good idea to play it safe and call the pros. Also prepare them when you leave for the long weekend to Grandma’s Turn the main valve off it can be the difference between a $800 repair and on in the tens of thousands of dollars. When you come back turn on slowly to prevent a sudden increase in pressure known as water hammer. Speaking of bursting pipes, it’s important to pay attention to the water systems immediately outside your place too. Undrained water in outdoor faucets and irrigation systems can expand when frozen and cause a pipe to burst. Draining faucets is simple enough: just pack away your garden hoses in the garage for the winter and let out any remaining water — easy as that! Irrigation systems, on the other hand, often vary in the way they should be maintained. It’s best to call a professional who has experience with underground water systems, just to cover all your bases. For your safety, a full-blown roof inspection should be done professionally. The cost to hire an inspector can be as low as a little over $200 and can prevent seriously hefty repair expenses down the line if a winter storm wreaks havoc on your roof and you don’t have sufficient insurance coverage to cover repair costs. Reinforcing and protecting your roof now can help you avoid a whole host of hazards, like air and water leaks, water damage, mold, and more — all of which could put a damper on your seasonal festivities (and your wallet). Believe it or not, your homeowner’s policy could come to the rescue for a whole host of cold-weather mishaps. Whether a hailstorm leaves holes in your roof, a vandal breaks into your home and destroys valuables while you’re out holiday shopping, or the weight of snow and ice results in structural damage to your house, homeowners insurance could help pay to repair or replace your losses. Have a conversation with your agent about the “what if’s” and what you should be covered for. If you do all these and still have a Fire, Water, or Mold Damage to your home or business, call SERVPRO of Grosse Pointe. We make it “Like it never even happened."